WALPA lost one of our own this spring when David Lamb died in Spokane after his battle with cancer. Many of us got to know Dave well through his WALPA work, as he volunteered for whatever job needed to get done. 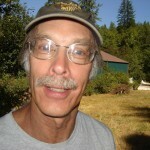 Dave was born in New York but chose to live in and protect the natural resources of the Pacific Northwest. He was a true friend of our organization. This is one you don’t want to miss! 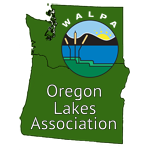 WALPA and the Oregon Lake Association (OLA) are teaming up to offer a joint annual conference this fall in beautiful Vancouver, Washington at the Hilton Conference Center. A wonderful program is already taking shape for October 16-18 around this year’s theme of Collaborative Lake Management. The Joint Conference Organizing Committee, led by WALPA’s Chris Knutson and OLA’s Paul Robertson, is busy planning sessions, brainstorming plenary speakers, and organizing social events. OLA secured funding to offer a full-day invasive plants workshop on Wednesday, the first day of the conference, and more workshops are in the planning stages. 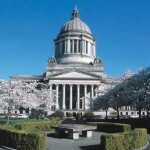 Legislative update: How did lakes fare in Olympia this year? As is often the case with the legislative process, lake advocates this year saw some success in Olympia (with SSB 5702) and were stymied in other efforts (like SB 5596). WALPA Scholarship winners – where are they now? Eric Larson received WALPA’s Nancy Weller Memorial Scholarship in 2008 while doing his PhD research at the University of Washington. Eric’s research focused on understanding the distributions, habitat associations, and potential range expansions of invasive invertebrates in Pacific Northwest lakes, with an emphasis on crayfish. Research funded by this WALPA scholarship has recently been published in journals including Biology Letters, Freshwater Biology and Freshwater Science. Blue-green algae or cyanobacteria can cause blooms on Washington’s lakes throughout the year, but blooms occur most often during sunny, dry weather in late summer into early fall. Some blooms can become toxic when the cyanobacteria produce toxins that can cause illness and even death in animals. Even if blooms are not toxic, they can look unpleasant, smell strongly, and seriously impact recreational lake use. The Department of Ecology administers a program that can help you identify harmful algae, learn where blooms are occurring, and stay informed. WALPA needs you! Join the Board of Directors! 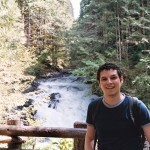 WALPA Scholarship winners � where are they now?